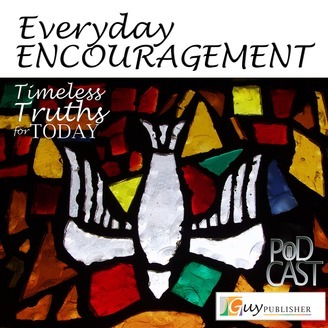 Blending everyday situations with biblical topics, "Everyday Encouragement: Timeless Truths for Today" is a weekly podcast that gives brief, inspiring and uplifting messages for today's busy listener. Everyday Encouragement is taking a break for a little while. The transcripts of the first 28 episodes are now available as an ebook on Amazon. A second ebook containing the transcripts of the rest of the episodes will also be available on Amazon in a couple of weeks. 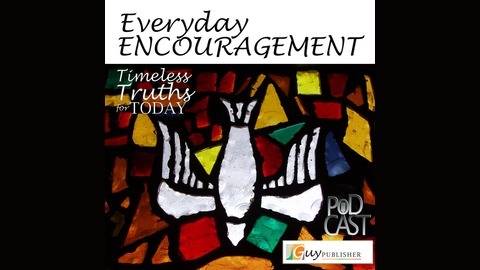 If you want me to notify you when a new episode of Everyday Encouragement will be aired, then please send me your email address to everydayencouragement@jguypublisher.com. Well, that's all for now. Until next time, be encouraged!